Knowledge is a process of piling up facts. Wisdom lies in their simplification. The TILA-RESPA [TRID] Rule Online Program [NOT accredited for CE/CLE hours] provides detailed implementation-level coverage of the Final Rule. 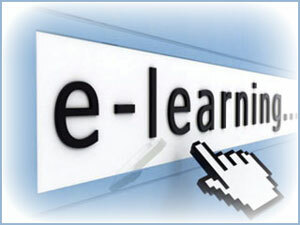 The online content of this program is delivered through our training portal. Once you have received the Study Manual, please sign into the training portal and activate the program to begin accessing online content. Activation instructions are provided in the training portal. Please note that the Program reflects the original August 1, 2015 Effective Date, which has been extended to October 3, 2015. Please notify us once you complete the Program, so we may email you the Education Matters TRID Rule E-News Bulletins which began in June 2015. One copy of the 300-page Integrative TILA-RESPA Final Rule Implementation Study Manual is included with your Order, and will ship via UPS Ground to the SHIPPING ADDRESS shown on your Order. Please wait until the Study Manual arrives before accessing the Online Program, as it is intended to simulate the Classroom Program, where participants follow along in the Study Manual with the PowerPoint Presentation. This enables participants to make notes of their own relating to implementation, thus enabling them to train others. As of August 1, 2015, more than 4,500 title agents, attorneys, closing agents and loan originators had completed the Classroom or Online TRID Program, using this targeted educational delivery method, thereby enabling them to get up-and-running with Program Implementation in record time with minimal errors. Who Should “Attend” the Online Program? We strongly recommend that companies—title, settlement, and mortgage lending—enroll their front line personnel responsible for nuts-and-bolts Rule implementation. The targeted educational delivery method is extremely effective for learning. Consider the value in having your front line personnel and the front line personnel of mortgage lenders “attend” the same Program, thus enabling them to quickly speak the same language! The Final Rule continues to be a work-in-progress as the CFPB continues to provide updates and guidance that impacts implementation. Those taking the Integrative TILA-RESPA Final Rule Online Program will be added to our Education Matters E-News list through which they will be notified of any updates, guidance, or Rule interpretations the Bureau may make between now and the extended Rule Effective Date of October 3, 2015. Our ultimate goal is consumer protection. We firmly believe consumer protection begins with ensuring that small and midsize title agencies, law firms, and settlement/escrow companies are not “sidelined” by CFPB Bulletin 2012-03 and the Integrative TILA-RESPA Final Rule. Register Today—The Implementation Clock is Ticking! Education Matters! By now, you have probably discovered that you cannot learn what you need to know to effectively implement the Final Rule from one-hour webinars or at-a-glance checklists. It’s time for some “heavy lifting” which begins with an investment in meaningful education. This is what The Koogler Group does best. By protecting your best interests, we help protect the best interests of consumers.